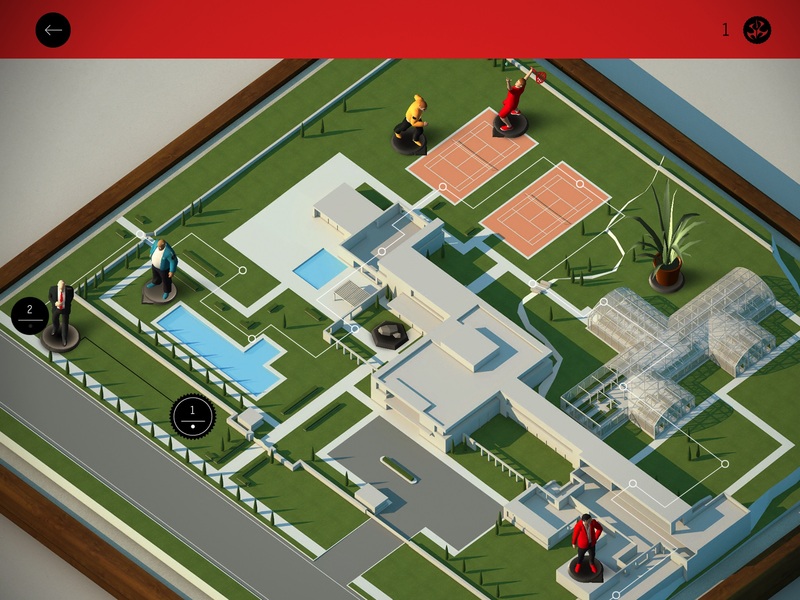 Hitman GO ($4.99) is not what you’d expect from a title bearing the stealth series name. And at first glance, you’d probably dismiss the game as being a cheap cash-in. But you’d be wrong. While Hitman GO shares little to its PC predecessors, it’s also a uniquely fun game with a distinct visual style, and Square Enix Montreal has done a great job on it. You once again don the boots of Agent 47, but instead of going on third-person adventures, you’ll be playing an isometric board game in well-designed dioramas with Agent 47 and the various other characters acting as what are essentially chess pieces. Your mission is to get to the end of each level without being spotted. The game begins slowly, only requiring you to get to the finish unseen, but quickly ramps up. After not too long, the game becomes a three-star puzzler. In addition to getting to the end, you’ll have to do it in ten turns or less, while killing nobody. Or you’ll need to collect a briefcase before killing your target, in fifteen turns or less. Some missions will require a replay, as you might have an objective to kill everyone, but also to not kill anyone. The graphical style, and the way the game is unlocked and played, is very well done. Each mission is a set of levels, wrapped in a box like a board game. Music and sound effects aren’t spectacular, but work well to portray the game. And Ave Maria playing in the menu, just like in Hitman: Blood Money, is completely apropos to what your job as a hitman is. There is no tutorial, but the mechanics are easily picked up. As you maneuver through each mission, by swiping Agent 47 along the board, you’ll have to contend with many obstacles, notably guards. Initially, they’ll be stationary and will be easy to kill or avoid, but later on, they will actively patrol. Sneaking up on an enemy requires you from knocking over its piece from the side or from behind; going onto a tile in front of an enemy will be the end of you. Throughout the game, you’ll have access to distractions and disguises. Sometimes they’ll be optional, mostly they’ll be necessary. Distractions, such as rocks or tennis balls, have a limited range. Throwing one at a specific tile will make all enemies head toward that tile, one move per turn. You may then need to throw another distraction to remove them from the area completely, before you’re able to go on your business. Disguises work similarily, allowing you to get to a tile in front of an enemy, which would otherwise kill you. You’ll also be able to hide in various objects, use secret pathways, and occasionally fire a sniper rifle. You’ll definitely need to think ahead before moving, especially when guards start patrolling and their positions change erratically. But like other turn-based games, they’ll only move once you do, so you can sort of plan your route. Sadly, there is no way to undo a move, so if you make a mistake that will cost you an objective, you’ll need to restart the whole mission. There is also a hint system which will guide you, but you get limited hints and will have to purchase more, with real money. Hitman GO comes with five boards, the first of which is available, and the remaining four needing to be unlocked by earning Hitman icons (read: one to three stars). If you don’t want to unlock them through the normal course of play, you can purchase them with real money, for $0.99 each. As mentioned previously, you can also purchase hints. The best part of the IAP in Hitman GO is that it is completely optional; you do not need hints to complete the game (if you’re that stuck, Google it), and you will unlock each board by just playing. This is a great use of IAP in a premium game. There are no leaderboards and no multiplayer, but there are 24 achievements to unlock, including one that requires you to use 100 turns in a single level, appropriately named the Time Waster achievement. 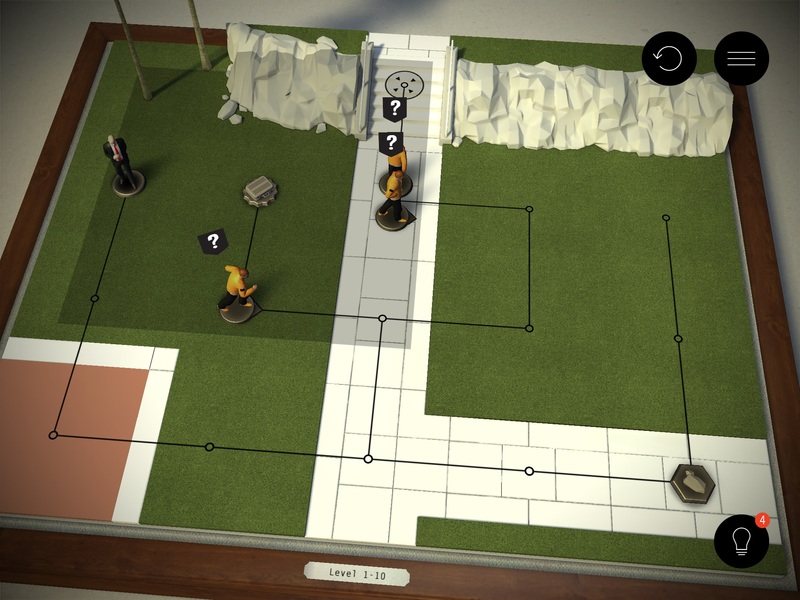 Hitman GO is one of those unique games that takes the name of a popular series, sticks it onto a game that is not at all similar to its namesake, and winds up being good. The missions are well thought out, and despite some ridicuously easy ones, there are some very difficult ones that’ll require lots of forethought. There are no paywalls to enjoying the game, and as a puzzler, it stands very well on its own.